Work for NodeJs Development Services? 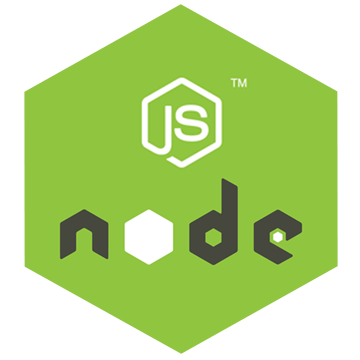 Learning about NodeJs Development Services? The best thing is the package manager of NodeJS : npm . With the help of command line interface or terminal window , npm can be used to install almost every JS libraries out there. Another great thing about it is : it is incredibly fast , and pretty simple to build the server and get started with your application. Nested Callbacks are the feature , I refrain from using . But promises and async wait made our life easier. Various versions for a single package . Many of the packages are old and buggy . Many of them are quite new and under development. In a long run, these issues doesn't cause much problem. There is no need to motivate someone to use this. You won't regret using it. It was a revolutionary phase and now it is the most used library and have one of the biggest community over the Globe. Easy to load required libraries, fast loading of the application, fast deployment of the developed code, real time development and testing the application, auto deploy when the application code is saved. Sometimes it lags performance. Difficult to find online support from the community to solve very specific problems. What Java Development solution do you use? Aglowid being a reputed AngularJS development company uses HTML scripts to design a dynamic front end to your website in an effective manner. BELATRIX Software is one of Latin Americaäó»s foremost agile innovators and application designers. RPR Wyatt's Software Development service provides your organization with the exact solutions and tools needed to get the job done right the first time. SoftwareMill is a Poland-based software and consultancy company that develops customised IT systems, especially backend solutions. Delivers a complete set of exquisite Web & Mobile solutions including Conceptualization, UI/UX/Wire-framing, Website design, Web Application development & Mobile developments. IT company offering web (Java/J2EE, .NET, PHP), mobile (iOS, Android, Windows, Phonegap, Sencha) & software (HTML5, JQuery, AngularJS) development services. Offering end-to-end AngularJS solutions for businesses worldwide - Delivered ionic and cross-platform mobile apps. * We monitor all NodeJs Development Services reviews to prevent fraudulent reviews and keep review quality high. We do not post reviews by company employees or direct competitors. Validated reviews require the user to submit a screenshot of the product containing their user ID, in order to verify a user is an actual user of the product. Hi there! Are you looking to implement a solution like NodeJs Development Services?